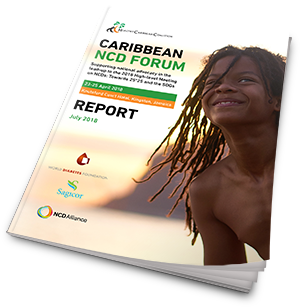 The Caribbean NCD Forum Report gives a detailed and comprehensive account of all three days of this special event. The Caribbean NCD Forum: Supporting national and regional advocacy in the Caribbean in the lead up to the 3rd UN High-Level Meeting on NCDs in 2018, took take place in Kingston, Jamaica from 23rd-25th April 2018. The Forum was sponsored by the World Diabetes Foundation and HCC’s ongoing sponsor Sagicor Life Inc.. The regional meeting brought together a diverse group of over 90 stakeholders, with the aim to mobilise regional civil society organisations (CSOs) and other key stakeholders to ensure that the Caribbean is fully engaged in the 3rd UN High Level Meeting (UNHLM) on NCDs. The Forum was held in collaboration with HCC partners, the Jamaica Ministry of Health, the NCD Alliance, the Caribbean Public Health Agency (CARPHA) and the University of the West Indies Open Campus (UWI OC), together with HCC member organisations, including specifically the Heart Foundation of Jamaica (HFJ) and the Diabetes Association of Jamaica (DAJ). The HCC also acknowledges the support of PAHO. The main objective of the regional multi-stakeholder civil society led Caribbean NCD Forum was to mobilise civil society organisations (CSOs) from across the Caribbean, and other key stakeholders, to ensure that the Caribbean is fully engaged in the 2018 UN High Level Meeting on NCDs (UNHLM). The Caribbean NCD Forum provided a unique opportunity for CSOs in the region to take stock of progress achieved in NCD prevention and control since the 1st UN High level Meeting on NCDs held in 2011, and share regional successes and lessons learned from NCD policies and programmes, all with a view to accelerating action leading up to and beyond the 2018 UNHLM. 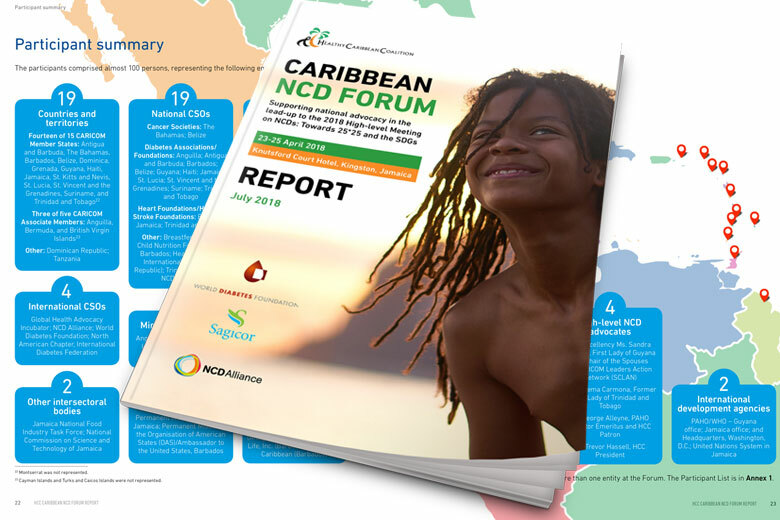 Visit the dedicated Caribbean NCD Forum webpage which includes presentations, video and more images from the event.